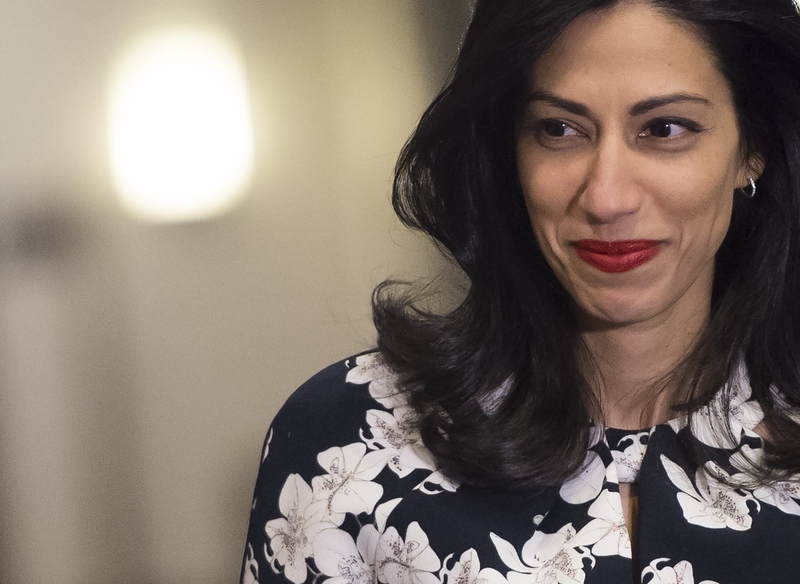 It's no secret that Huma Abedin's job as Deputy Chief of Staff during Hillary Clinton's term as Secretary of State wasn't easy. As one of the most trusted members of Clinton's staff, Abedin has taken on a considerable amount of responsibility. Taken from when Clinton was Secretary of State, Abedin's emails suggest she was the nexus between Madam Secretary and the rest of the world, which, by itself, isn't very scandalous by any means. More than anything, the messages show that Hillary's right-hand woman has had to field a lot of bizarre requests from top donors and political allies. You can read the emails here. In May 2009, for example, Abedin was forwarded an email by Doug Band, a Clinton Foundation exec. The original email was written by Casey Wasserman, a sports entertainment executive and multimillion-dollar Clinton Foundation donor. "Paul Martin's client ... needs to get an expedited appointment at the U.S. Embassy in London this week and we have hit some roadblocks," Wasserman wrote. "I am writing to ask for your help." Who was this client, you ask? It turns out that the client was a popular English soccer player on Wolverhampton Wanderers F.C. As for his roadblock? Apparently he had an unspecified "criminal charge" that would prevent him from getting into the U.S. in time for the team's trip — and it was up to Abedin to fix the problem. Abedin wrote that she was "nervous to get involved but ill [sic] ask." Band's response? Simple: "Then dont [sic]." It's clear that if something doesn't fly with Abedin, it definitely won't fly with Madam Secretary. Astoundingly, a request for an expedited appointment at a U.S. Embassy was one of the least bizarre Abedin received during her tenure as Deputy Chief of Staff. That same month, Bill Clinton aide Ben Schwerin emailed Abedin asking for access to NASA, Politico reported. "Bono wants to do linkup with the international space station on every show during the tour this year," Schwerin wrote. "I'm trying to figure out who the best contact is to talk to at NASA or the congressional committee on science and technology. Any ideas? Thks," he asked Abedin in an email titled "Bono/NASA." The response? "No clue," sans punctuation. Nonetheless, the "U2 360°" tour featured videos from astronauts. The same day as the U2 request, Abedin received an email from Band because "John Fogerty [was] looking to speak to someone w hrc." Abedin hilariously replied asking if Fogerty was "the singer dude?" When I said there was only one thing to be gleaned from Huma's emails, I was wrong — there are two. Abedin Email Lesson #2: people asking for favors use flawless grammar and punctuation; people being asked for favors can type however they damn well please, especially if they're as busy as Abedin.